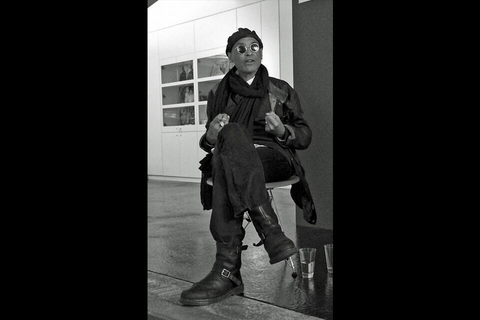 On May 19, the Brooklyn-born photographer, Stanley Greene, passed away in Paris. He was 68 years old. In addition to a love of art, Greene was exposed to political involvement from a very early age: his father was one of the first Afro-American representatives of the Screen Actors Guild. Born in Brooklyn, New York, in 1949, Greene was given his first camera at the age of eleven. In 1971, he was already a member of the Black Panther Party and part of the anti-Vietnam war movement, when his friend, the photographer W. Eugene Smith, convinced him to study photography. However, it was only after the death of an other friend from AIDS, that Greene found his way out of his heroin addiction and decided to concentrate on a career in photography, which would take him to crisis and war regions around the world. In 1993, he was the only western reporter at the White House in Moscow, when President Boris Jelzin ordered the storming of the Parliament buildings, where opposition members had barricaded themselves. Greene’s journalistic work received many awards, including, among others, the Eugene Smith Humanistic Grant, the Getty Images Grant for Editorial Photography and no less than five World Press Photo Awards. Co-founder of the NOOR agency, Greene’s last grand appearance was in April, when he was a speaker at the traditional Sem Presser Lecture during the World Press Photo Awards ceremony.